Hood cleaners, just like any other service business needs to gain and retain new customers all the time. The typical way for any company to do this is by cold calling, door-to-door at restaurants, cafeterias, hospitals, food trucks, and any other commercial kitchen entities that have a need for commercial kitchen vent hood cleaning requirements. The problem with 'cold calling' is that you cover very little ground and you're very seldom lucky enough to have kitchen exhaust system cleaning in the front of their minds. I know. The internet is not the solution to everything, but for service businesses like hood vent cleaning services companies, the internet can be a gold mine. You just need to do it the right way so that your hood cleaning service stands out in the crowd. Just imagine that if every restaurant in your area were to be able to find your commercial kitchen exhaust cleaning company before all your competitors and if they found your company and your competitors at the same time, but yours looked like the better company to use, it would be easy for all of those restaurants to use your restaurant kitchen hood cleaning service over theirs. The key to all this is the simple search for 'hood cleaning near me'. In every industry, there are common phrases that are being used to find the business that someone is looking for when they search. In the arena of commercial hood cleaning services, you really need to understand how to rank and be seen for the phrase 'restaurant hood cleaning near me' or 'restaurant vent hood cleaning DALLAS'. These variations of phrases make all the difference in the world. As you build out a website for this, you have to wonder - with all the hood cleaning companies in the world, how will I possibly beat them out in a search. Well, you don't have to beat them all out. You just have to beat out the other restaurant kitchen hood cleaning companies in your area. The search engines have gotten smart enough to understand that if you're searching for hood cleaning in Dallas, that most likely, you're one of the 4000 restaurants in the Dallas, Fort Worth, Plano area. It's going to use your IP address to determine the city your in and the results will be pretty accurate. You should get a list of 20 or more relevant results tied to kitchen exhaust cleaning in Dallas. Now, here's where the phrase "hood cleaning near me" comes into play: mobile. Yep. mobile phones. Recent checks on search analytics have revealed that over 60% of internet searches are done on mobile devices such as mobile phones. And with the trend, really came the importance of the "near me" phraseology. The other thing that's come into play is the common language search for apps that you can make verbal requests to such as Apple's Siri. All of a sudden, we have a massive amount of people speaking their requests to their devices and these voice applications now responding back with search results. So, you say, "Hey Siri, show me a list of hood cleaning companies near me", and Siri looks at your GPS coordinates, then compares to the companies listed in the search engines databases and answers back, "I've found 18 hood cleaning companies nearby, the first is Dallas TX Hood Cleaning. Would you like me to dial that one?" And just like that, you're dealing with a pertinent hood cleaning business near you. So this is a popularity contest that you need to win. Fortunate for you, it's not a beauty contest and you won't be judged in the bikini portion of the competition. But you do need to win for a few things to make sure that you get the lion's share of the phone calls when people are looking for hood vent cleaning services. Getting found at the front of the list. Being the 'easy to deal with' hood cleaning service. Being the easy to call restaurant hood cleaner. Answering your damn phone like a professional hood cleaning business. In upcoming articles, I'm going to pull apart each of these six items and give you a full explanation of how to do this the best way possible. But for now, let me give you a summary of each. Full detail will be published on our website. #1 Getting Found at the Front of the List For Hood Cleaning. As you can imagine, a restaurant kitchen hood cleaning company found in the first spot of the search engines, such as Google - would be the most important factor and it is. We'll give more details on how to make that happen at Hood Cleaning Marketing. You can learn to do this yourself with our coaching, or we can do it for you. #2 Looking Extremely to be the Professional Hood Cleaning. Once someone finds you in the search, they're going to do a quick visit to your website and check you out. For the most part, at this point, they'll judge you for whether you're the hood cleaning business that they would want to deal with or not. You need to have a clean, modern website for your kitchen exhaust cleaning business or they're going to move to the next one on the list. Can they see that you have multiple hood cleaning certifications? #3 Being the 'easy to deal with' Hood Cleaning Service. 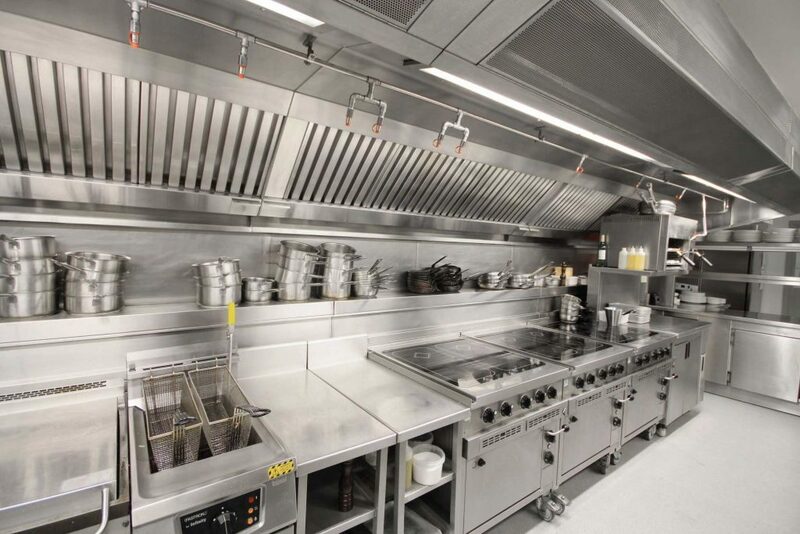 Once someone has made the search for the commercial kitchen hood cleaning services and they've gone to your website, how easy do you look to deal with? Do you give free hood cleaning quotes? Do you offer free restaurant vent hood cleaning inspections? Do you promise to supply hood cleaning stickers? #4 Being the Easy to Call Restaurant Hood Cleaner. Easy to call is so important. The big mistake that I've seen among restaurant vent hood cleaners is that when you get to 1/2 their websites, you struggle to find the phone number. If someone is searching for a service provider such as a kitchen exhaust hood cleaning company, and their phone number is not evident, it kinda goes back to issue #3. But a step beyond that, especially in mobile search, is the need to be able to click on the phone number and have it DIAL for you. In testing specifically with commercial hood cleaning companies, we found that we would get 23% more phone calls with a mobile click-to-call button on the screen for mobile devices. When you couple that with the other corrections that you can make, that can be a huge amount of opportunity. #5 Answer Your Damn Phone EVERY TIME. One of my biggest pet peeves in any service business and especially restaurant hood cleaning, is allowing phones to go to voicemail. In a recent analytic test, it was found that 80% of callers that reached a voicemail instead of a live operator, hung up the phone without leaving a message, or left a short message, and moved on to the next company on the list to call. So, there's good news and bad news for you on this: if the #1 hood cleaner on your list lets his phones go to voicemail, and you're #2 on the list - chances are that you're going to get that phone call. You'd damn well better answer it!. #6 Answering your damn phone like a professional hood cleaning business. This is another HUGE issue. If you don't answer your phone like a professional hood cleaning service, you throw off the caller and you put doubt into them as to whether they want to deal with you or not. As part of our services for hood cleaning marketing, we sometimes record and review incoming phone calls to see how well our client's staff are doing at answering calls, answering questions, and setting up hood vent cleaning services calls. We've heard terrible things. We had one client that, for over a month, allowed a new 'salesperson' to take all the calls. Out of 89 calls, he managed to close 2 for appointments for a free hood cleaning quote & hood cleaning inspection. Seriously? He could only get TWO appointments set out of 89 for the FREE portion of the hood cleaning process? So we listened to his calls. He sucked. He answered the calls by simply saying, "Hello?" Immediately the callers were taken back by his lack of professionalism. But they would typically say, "I have a Cuban restaurant in Dallas, and I need a kitchen hood cleaning, do you do that?" He would answer back, "oh yeah, we do restaurant hood cleaning. What city are you located in?" Salesperson, "And what kind of restaurant is it?" The caller, "CUBAN". Then they hang up. Seriously. I listened to many hood cleaning calls over the past 3 years, these 89 were the worst. I changed the name of the city to Dallas for this story - but this clown was not in Dallas really. He was in a city that rhymes with 'Gorlando'. So, how you answer hood cleaning calls and how you treat people on the phone is epically important to your kitchen exhaust cleaning business. If you answer calls yourself, do it well. If you hire someone to do it for you - train them to do it right. I have other tips and tricks for marketing your restaurant hood cleaning business on the internet and off. Please visit us at HoodCleaningMarketing.com for more information, articles, and videos. Thank you to Sanders Cleaning for allowing us to write this Guest Post for their blog.